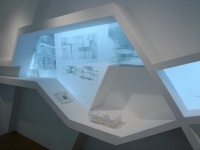 The Exhibition-architecture invokes a dialog between image and space, between plane and volume, between reality and virtuality. 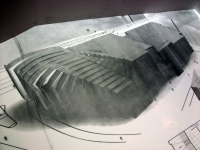 'Image' in this case means to be a construction-medium of architecture: space is not only visualized by an image, space is generated by an image. 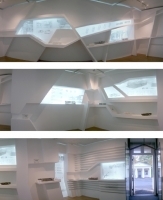 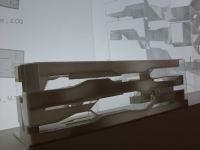 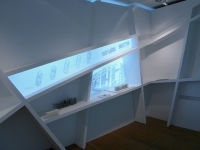 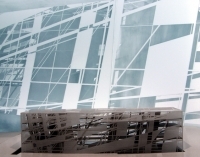 The specific idea for the exhibition-architecture was to work with this special interference between image and space. 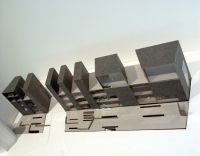 The objects to be seen are showing students proposals for a new museum of photography in Braunschweig.